Dum biriyani festival, Indian holiday festivals. Our company holds vast experience in this domain and is involved in offering Flat Promotion Service. Blessing Estates & Builders Pvt. Ltd.
We are offering Flat Promoter Service to our precious customers. These flat promoter services are done keeping the preferences and budget of our customers in mind. Furthermore, these services are delivered by our team of experienced professionals. 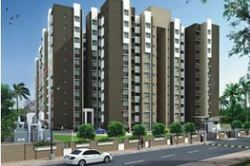 Our latest project at Jamin Pallavaram is nearby Vels University.This Jamin Pallavaram can also be approached via Kelkattalai bus stand and Pallavaram railway station.It is just 2 Kms from both the ends. The vast experience of the Promoter in handling large projects with highly reputed companies and their impeccable management philosophy, contributes immensely to the company’s prowess in Project Management.